The Akwa Ibom Government has renamed Ibom International Airport after Obong Victor Attah, a former civilian governor who governed the state from 1999 to 2007. Governor Udom Emmanuel made the announcement at a banquet held in Uyo on Sunday to commemorate Attah’s 80th birthday. The News Agency of Nigeria reports that the renaming of the airport after the former governor was sequel to a resolution passed by the Akwa Ibom House of Assembly on November 19. 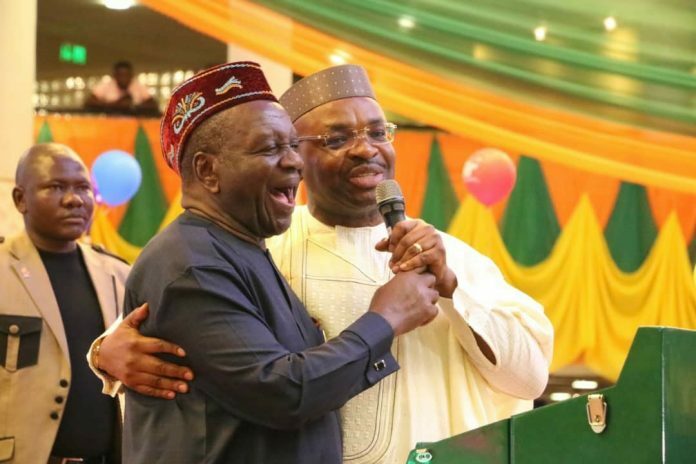 “Obong Victor Attah’s developmental strides during his eight years tenure such as the Ibom Deep Seaport Project, Ibom International Airport with Maintenance, Repair and Overhaul facility, Ibom Hotel & Gulf Resort, Phase one of the State Secretariat Complex cannot go unnoticed,” Emmanuel said.